Growing Tree Preschool strives to provide a positive, stimulating, Bible-based environment where each child feels safe, secure and accepted. 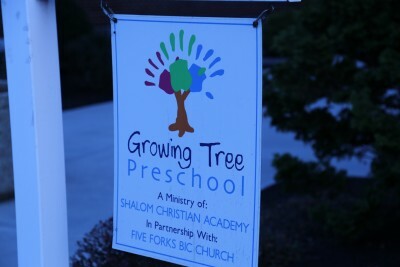 Growing Tree Preschool is a ministry of Shalom Christian Academy that is held is several area churches, including Five Forks. To learn more, visit their website.